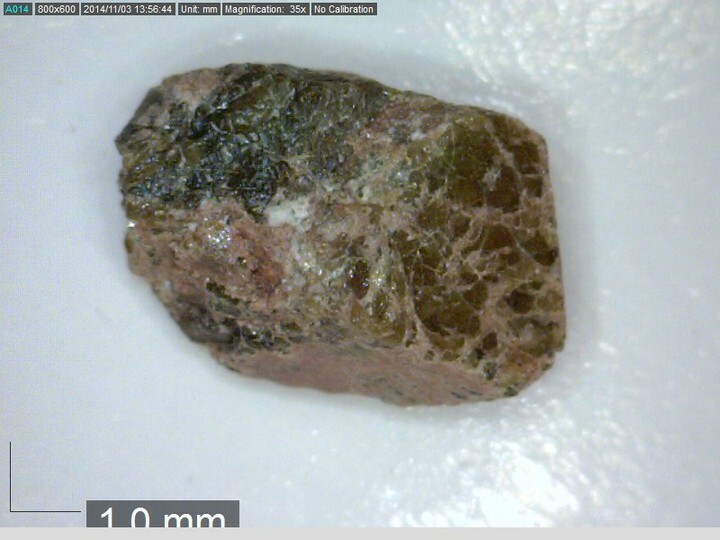 Hydrokenomicrolite: Mineral information, data and localities. Two polytypes are known: Hydrokenomicrolite-3C (described as Hydrokenomicrolite ((Andrade et al. 2013), TL = Volta Grande pegmatite, Nazareno, Minas Gerais, Brazil) and Hydrokenomicrolite-3R (formerly described as parabariomicrolite (Ercit et al. 1986), TL = Alto do Giz pegmatite, Equador Co., Rio Grande do Norte, Brazil). 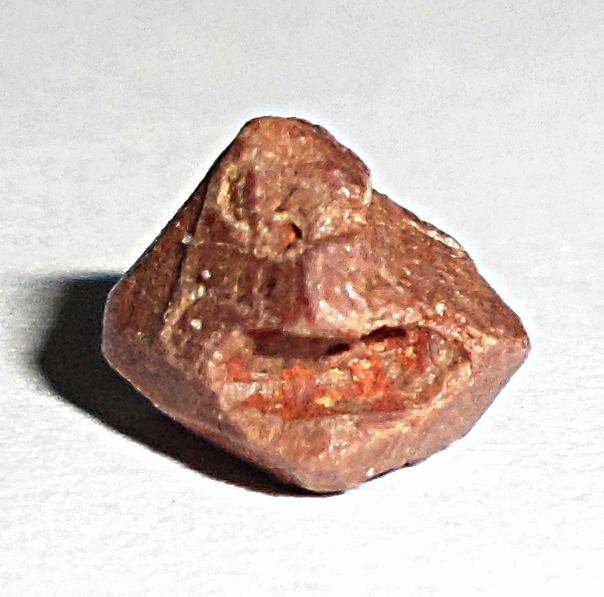 Euhedral octahedral crystals 0.2 to 1.5 mm in size. Museu de Geociências, Instituto de Geociências, Universidade de São Paulo, São Paulo, Brazil, registration number DR725. Ercit, T.S., Hawthorne, F.C., and Cerný, P. (1986) Parabariomicrolite, a new species, and its structural relationship to the pyrochlore group. The Canadian Mineralogist: 24: 655-663 [as parabariomicrolite]. Andrade, M.B., Atencio, D., Chukanov, N.V., and Ellena, J. 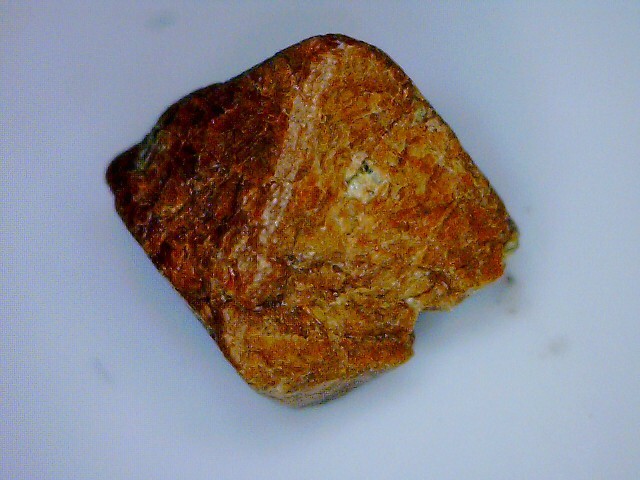 (2012) Hydrokenomicrolite, IMA 2011-103. CNMNC Newsletter No. 13, June 2012, page 809; Mineralogical Magazine: 76: 807-817. Andrade, M.B., Atencio, D., Chukanov, N.V., and Ellena, J. (2013) Hydrokenomicrolite, (☐,H2O)2Ta2(O,OH)6(H2O), a new microlite group mineral from Volta Grande pegmatite, Nazareno, Minas Gerais, Brazil. American Mineralogist: 98: 292–296. Atencio, D. (2016) Parabariomicrolite discredited as identical to hydrokenomicrolite-3R. Mineralogical Magazine: 80: 923-924.
van der Veen, A. H. (1963): A study of pyrochlore. Verhandelingen van het Koninklijk Nederlands geologisch mijnbouwkundig genootschap, Geologische serie 22: 1-188; Atencio D., Andrade M.B., Christy A.G., Giere R., Kartashov P.M. (2010): The pyrochlore supergroup of minerals: nomenclature. Canadian Mineralogist, 48, 673-698.
ⓘ Borborema mineral province ? [Hydrokenomicrolite-3R] Ercit, T. S., Hawthorne, F. C., Cerný, P. (1986) Parabariomicrolite, a new species, and its structural relationship to the pyrochlore group, The Canadian Mineralogist 24: 655-663; Atencio, D. (2016): Parabariomicrolite discredited as identical to hydrokenomicrolite-3R. Mineralogical Magazine, 80: 923-924.